In the aftermath of the Port Arthur massacre, government went to great lengths to ignore or suppress all evidence suggesting that the official story of the day was unsubstantiated rubbish. Nowhere is this more evident than in the case of Wendy Scurr and husband Graeme, residents of the Tasman Peninsula. who with others fought to bring very serious distortions of the massacre to the attention of government and media, but were ignored. This report includes information Wendy, Greame, and several of their colleagues are determined that all Australians should know about: Critical information the Tasmanian Government, and several bureaucrats, are equally determined will never see the light of day. Wendy Scurr is a forthright lady with a sound track record of helping others at the "sharp end" of ambulance operations. During her twenty years with the St Johns Ambulance, and ten years with the Tasman Ambulance Service, as a volunteer ambulance officer, Wendy has seen and done just about everything, attending accidents and incidents so gruesome most people would prefer not to be given full details. As one of the first Port Arthur staff members to enter the Broad Arrow Cafe after the massacre, the carnage came as a shock, but Wendy's extensive prior experience enabled her to cope admirably with the injured and the dead. Wendy Scurr also thinks and reacts like lightning. Within minutes of hearing the shooting start in the Broad Arrow Cafe, she rushed into the nearby information office and placed a call to police headquarters in Hobart. Not amused by the initial police reluctance to believe she was telling the truth, Wendy simply shoved the handset outside the door- way and told them to listen to the shots over the phone. Police logged her call at 1.32 pm, a point of considerable importance later on in this report. It is obvious that anyone with the ability to react so quickly and pass information so accurately would be a prime asset to the police who swarmed over Port Arthur later in the day. Knowing that Wendy made that first critical telephone call and then entered the Broad Arrow Cafe to help the injured should have drawn the police to her like a magnet, but curiously did not do so. She offered the police additional information about the sequence of events but says her interview was abruptly terminated. On 15th October 1996 Wendy received a letter from the Director of Public Prosecutions stating she would not be required to give evidence at the trial of Martin Bryant, though it is hard to imagine anyone better placed to provide an accurate account of events that day. It was the start of a long frustrating battle to get some of the more controversial aspects of the massacre out into the open, a battle Wendy, Greame, and several others initially lost because of government determination to adhere to the "official line" agreed with the media. That official line included the gunman being inside the Broad Arrow Cafe for 90 seconds rather than the four to five minutes Wendy and her colleagues counted, but excluded the fact that several people were shot dead behind a door that would not open. The official line also excluded the fact that the only two policemen on the Tasman Peninsula were decoyed to a remote location just before the massacre started, And what about the startling news that out of the 20 fatalities in the Broad Arrow Cafe, 19 died from the effects of a shot to the head, fired from the gunman's hip without the benefit of a laser sight? Excluded of course, because the government would be unable to stop the avalanche of public comment on this impossible performance by an untrained left-handed novice like Martin Bryant. The only personnel available to stop or interrupt the slaughter were two policemen, one stationed in Nubeena 11 kilometers from the Port Arthur site, and the other at Dunalley, a small town to the north with a swing bridge capable of isolating the Tasman Peninsula from the rest of Tasmania. Shortly before the massacre both policemen were sent to the coal mines near Saltwater River, an isolated location on the extreme western side of the Tasman Peninsula, in response to an anonymous caller reporting a large stash of heroin, On arrival they found only glass jars full of soap powder, and reported this via the police radio net. A harmless time consuming prank perhaps? No. Reliable sources in Hobart state that this was the only drugs decoy ever attempted on the Tasman Peninsula since police records began, and meaningfully point out that leaving glass jars of fresh soap powder was a very professional touch that backfired. Why would anyone assume the soap powder was heroin and place an emergency call to the police without checking the contents first? And why did the caller insist on anonymity? Greame Scurr makes a valid point that it would be hard to select a more suitable remote location if specifically decoying the two policemen away from the Port Arthur historic site and Dunalley. A single glance at a map of the Tasman Peninsula proves his observation to be absolutely correct. 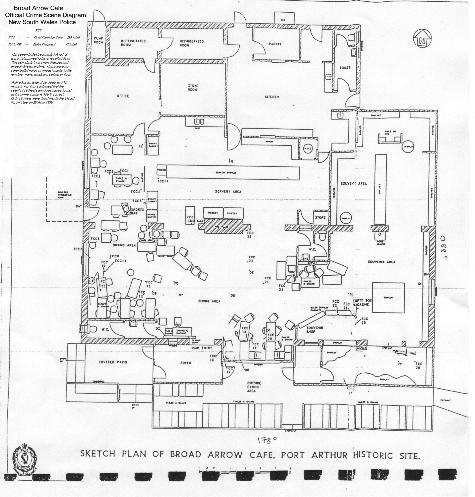 Within minutes of the two policemen reporting their position at the coal mines, the shooting began in the Broad Arrow Cafe. Wendy Scurr made her call to police headquarters at 1.32 pm, and there was then a short but understandable time lag before the police comprehended the sheer magnitude of the situation at Port Arthur and ordered their Tasman colleagues to proceed to the crime scene. It is unlikely they left the coal mines before 1.36 pm and were then faced with a 30 minute drive to Port Arthur. By the time the officers arrived the operation was over, and both men were then pinned down by erratic gunfire from Seascape. There was another sound operational reason for the decoy. Wendy Scurr is familiar with the emergency plan for the area and says that in the event of a major incident, the swing bridge at Dunalley would be closed to traffic, to prevent more vehicles straying onto the Peninsula and causing complications. It is a sensible plan, and the command to operate the swing bridge and isolate the Peninsula would normally first be directed through the police officer at Dunalley. But once the bridge was closed to traffic, it would also prevent anyone from leaving the Peninsula, including those involved in executing the massacre at Port Arthur. However, with the Dunalley policeman pinned down by erratic gunfire at Seascape, the bridge remained open to traffic after the massacre, and several people are known to have left Port Arthur and escaped across that swing bridge before the police could stop them. To this day their identities remain a mystery. One of the most serious disputes centered on how long the gunman stayed in the Broad Arrow Cafe. Wendy Scurr and several colleagues were the best placed to make an accurate time estimate but they were repeatedly rebuffed. Why? Would it really matter if the gunman was there for four or five minutes rather than 90 seconds? Well, yes it would if trying to reinforce the absurd "official line" that an intellectually-impaired invalid with a tested IQ of 66 and severely limited cognitive functions was the man on the trigger. People with intellectual disabilities are not known for their tactical skills, tending instead to move from one task to the next in an unbroken sequence, Only a professional would wait until the coast was clear before leaving the Cafe. About the last thing that any professional would do is risk being tripped over outside the Broad Arrow Cafe by a large crowd of nervous tourists blocking his escape route. We know that the gunman was traveling light with only two 30-round magazines for the Cold AR15. He had already fired 29 rounds in the Broad Arrow Cafe, leaving only 31, far too few rounds to reliably carve a path through a large undisciplined mob of unpredictable panic-stricken tourists. A professional gunman would also calculate that if he left the cage too soon, he might accidentally be filmed by one of the many amateur video cameras in use at Port Arthur that day. The risks were too high and so the gunman waited for the right moment to leave the cafe, with the Tasmanian Government and media later helping to cover up this embarrassing time lag by repeatedly ignoring Wendy Scurr and her colleagues, and by deciding they were not required to appear in the Supreme Court as witnesses. Was Wendy Scurr taking a wild stab in the dark with her time estimate? No she was not. Everything at Port Arthur ran like clockwork, especially the guided tours. The staff were punctual to the point of obsession and never left the assembly point outside the information office and cafe after the precise departure time. When the shooting started there were about 70 tourists still waiting for their tour, which made the time 1.29 pm at the latest. Wendy's call to the police was logged three minutes later at 1.32 pm. Then she went outside to look for cover in the bush behind the buildings, This took at least another minute, giving a minimum total elapsed time of four minutes and more likely five. As several other colleagues present on the day also attest, the elapsed time was much longer than the "official" 90 seconds. It was not until most of the milling tourists had dispersed from the area that the gunman emerged from the cafe, firing snap shots to keep the few remaining tourist's heads (and video cameras) down while he ran towards his next targets in the coach part. 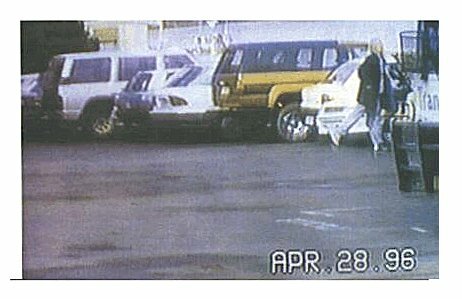 The gunman's professional tactics worked exactly as intended, and the only amateur video claiming to show "Bryant" at Port Arthur that day, has been scientifically proven a deliberate forgery. Unfortunately, Wendy and her colleagues' determined stance did not sit well with the official line being promoted by the Tasmanian Government and media, and steps were taken to include the matter in: "An Inquiry by the Director of Public Prosecutions into The Door at the Broad Arrow Cafe and Related Matters." Where the critical elapsed time is concerned the DPP addresses the time the gunman was in the cafe shooting (based on amateur video audio), but does not address the possibility that the gunman may have lingered for other reasons. Though part of Wendy's claims in particular are included verbatim in the body of the report, she is not mentioned by name, although other witnesses favouring the official line are. No doubt such a pointed omission is quite legal, but nonetheless seems most discourteous. The locked door behind which many people died is the main topic of the report, which fails to reach any convincing conclusions due to an over whelming mass of conflicting data. On the balance of probability it seems likely the door failed to open because it was in poor condition, but unfortunately no-one can prove in absolute scientific terms that the door was not deliberately tampered with on the day of the massacre. The expert locksmith employed by the Inquiry to examine the door lock was unable to do so with the lock correctly in place, because someone unfortunately ordered the partial demolition of the Broad Arrow Cafe, including removal of the suspect door, before the Inquiry commenced. There is one ambiguity in the report where the DPP states: "I was briefed by the police about the status of the doorway on the afternoon of the 28th April 1996 and informed that the door was locked for security purposes against petty theft." This sentence either means that the DPP was briefed by the police during the afternoon of the massacre itself, or that the DPP received a briefing at a later date referring to events on the 26th April. In an attempt to exclude the possibility of direct political contact with the police on the afternoon of the massacre, I called the office of the DPP at 11.05 am on 13th November 1997 and asked for clarification of this single point. His staff said the DPP was out to lunch, repeated my telephone number back to me, and promised to pass my request to him when he got back. For whatever reason, the Director of Public Prosecutions did not return my call. A copy of his report was forwarded to Wendy and Greame Scurr with a covering letter including the request: "It would be appreciated if you would treat the report as confidential." Why? The Inquiry was conducted in order to clarify matters for anyone concerned about events at Port Arthur. Much the same thing happened to the court transcripts of Bryant's pre-sentencing hearing in the Tasmanian Supreme Court, which are extremely hard to obtain. Despite Federal Members assuring their constituents that the information is freely available in Hobart, that is not the case. New South Wales farmer David Barton wrote to the Tasmanian Supreme Court asking for a copy of the transcripts, and was told in part:- "The information provided to you by Mr Truss [A Federal MP] is not correct....a transcript may only be provided to a person who, not being a party, has 'sufficient interest'. Should you wish to correspond further I ask you to explain to me why you contend you have 'sufficient interest'...."
This is not encouraging for those who wish to know what happened at Bryant's pre-sentencing hearing in November 1996. The events at Port Arthur had a run-on affect on the injured, on the relatives of the dead, and on hundreds of thousands of sporting shooters, most of whom would much prefer full disclosure. As a direct result of this excessive secrecy there are very few Australians aware of the awesome performance demonstrated by the gunman in the Broad Arrow Cafe, with the normal excuse being the politically-correct line that disclosing full details would lead to more distress on the part of the relatives of the dead. Unfortunately, this is also an extremely effective way of silencing dissent on the part of those who might take a very different view of events in the Broad Arrow Cafe. All Australians have the right to know what happened that day, and a brief summery follows, It is a very unpleasant matter and those readers with a weak stomach or a nervous disposition are advised not to read beyond this point. IN THE BROAD ARROW CAFE"
The gunman rose from his chair at one of the tables in the Broad Arrow Cafe, removed the AR15 and spare magazine from a sports bag, immediately killing Mr Yee Ng with a shot to the upper neck, and Miss Chung with a shot to the head. Swivelling on the spot and firing from the right hip, the gunman fired at Mr Sargent who was wounded in the head, then killed Miss Scott with a shot to the head. The gunman continues through the Broad Arrow, next killing Mr Nightingale with a shot to the upper neck and Mr Bennet with a shot to the upper neck, with the latter bullet passing straight through and hitting Mr Ray Sharpe in the head with fatal results. Next Mr Kevin Sharpe was killed by a shot to the head and was also hit in the arm, with shrapnel and bone fragments from the second intermediate strike on Mr Kevin Sharpe then apparently wounding Mr Broome, and possibly Mr and Mrs Fidler. Still firing from the hip the gunman swivelled and killed Mr Mills and Mr Kistan with single shots to the head, with shrapnel and skull fragments from those shots apparently wounding Mrs Walker, Mrs Law, and Mrs Barker. Again the gunman turned, shooting and wounding Mr Colyer in the neck, before swiveling and killing Mr Howard with a shot to the head. Next he shot Mrs Howard in the neck and head with fatal effect. The gunman turned back, killing Miss Loughton in the back. Moving towards the rear of the building the gunman shot Mr Elliot in the head, causing serious injuries. The above sequence is the best the forensic scientists could deduce from the crime scene and there may be small variations, but in the final analysis they matter little, What does matter is that at this precise juncture the gunman had killed twelve victims and wounded a further ten in 15 seconds flat, using only 17 rounds fired from the right hip. Such a staggering performance is on a par with the best combat shooters in the world, and two retired counter-terrorist marksmen ruefully admitted they would be hard pressed to equal such awesome speed and accuracy. Both agreed that attributing such a performance to an intellectually-impaired invalid with an IQ of 66 and severely limited cognitive functions, amounts to nothing less than certifiable insanity on the part of Bryant's accusers. In military terms a fatal shot to the upper neck counts as a head shot, so for all practical purposes those who died during the first 15 seconds were killed by head shots fired with lethal accuracy from the gunman's hip. Next the very professional gunman moved towards the area of the souvenir shop and killed Nicole Burgess with a shot to the head, then shot Mrs Elizabeth Howard through the chest and arm with fatal consequences. Swiveling around, the gunman killed Mr Lever with a shot to the head, and killed Mrs Neander with another shot to the head, Temporarily distracted, he fired back into the cafe area and wounded Mr Crosswell. Turning again he shot Mr Winter twice, killing him with a shot to the head. On his way back to the souvenir area the gunman wounded Mr Olson, then proceeded to the kill-zone near the locked door where he killed Mr Jary, Pauline masters, and Mr Nash, all of them with single shots to the head. At this stage the gunman had killed twenty and wounded another twelve with a total of 29 rounds. He then stopped firing and changed magazines in a most professional way. The magazine fitted to the AR15 held 30 rounds total, so by changing magazines after firing only 29 shots the gunman ensured that he still had a live round in the breech in case anyone moved, enabling him to kill that person instantly if caught unawares. Such professionalism is well kown to counter-terrorist personnel. Critically, the gunman then waited motionless in the Broad Arrow Cafe with a fully loaded magazine, which brings us back to the differential between the verified time estimate of four to five minutes, and the inaccurate official claim of 90 seconds. It is easy to see why government and media continued to rebut Wendy Scurr and her colleagues' insistent claims about the elapsed time and the door that refused to open. 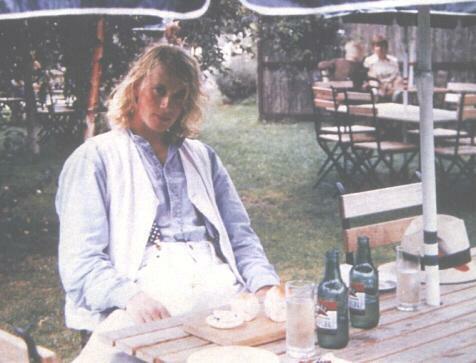 Either or both had the potential to open a Pandora's Box with catastrophic results, for there was no way the Tasmanian Government could openly and honestly investigate these matters without running the risk of "accidentally" proving that its villain of choice, Martin Bryant, was innocent of all charges. In addition, the drugs decoy and the stunning accuracy of the gunman in the Broad Arrow Cafe had to be swept under the carpet, before informed members of the public had the chance to realise the "lone nut" massacre was in reality a highly planned paramilitary operation with geopolitical motives, designed from the outset to undermine Australian national security. Typical vague images that convicted an innocent man. In the view of this author, and others, the 5,56-mm Colt AR15 was deliberately selected for three specific reasons, one of which was its known ability to inflict horrific and highly visual injuries at close range, caused by its low-mass bullets travelling at extreme velocity. The nature of those wounds caused revulsion among police, emergency service workers and medical staff, thereby assisting the immediate drive by anti-gun lobbyists to have all semi-automatic weapons outlawed. As the leader of the National Embalming Team wrote: "Approximately 90% of all deceased persons had severe head trauma. The bullet wound was normally inflicted to the head with the resultant smaller entry wound and larger exit wound. Some of the deceased persons had an entry wound with no exit wound, the result of this was an explosion of the skull....." Despite her thirty years of ambulance experience, Wendy Scurr still remembers being shocked when she accidentally trod on shattered skull fragments, before being confronted with a human brain lying in a bowl of chips. In the medium to long term the lobbyists and international power brokers will be unable to sustain their claim that Martrin Bryant was the villain, because there is simply too much hard evidence proving the "official line" to be a criminal scam. Some American video evidence submitted to the Supreme Court has already been scientifically proven a forgery; deliberately submitted to the court in order to secure the conviction of Martin Bryant on all counts, in the event that he continued to plead "Not Guilty". Due to the seriousness of this offence, copies of the scientific proof have been sent by registered mail to departments which should take active steps to have the material reviewed and struck out of evidence, and then urgently implement strategies to ensure the future integrity of Australian national security. If steps are not taken, more registered mail copies will be sent to more departments, allowing the author to compile a list of those government departments determined not to take steps to protect Australian national security and the lives of Australian citizens, even when provided with absolute scientific proof that they must do so. Details of the scientific proof itself, and a full list of those Government departments which refuse to take adequate steps to secure the future defence of Australia, will be published in full during late 1998. Anyone willing to help with the expensive printing and registered mail costs, should send a post office money order to me at 45 Merlin Drive, Carine, Western Australia 6020, made out to "J.Vialls". All of this is unlikely to worry those lobbyists, public servants, and members of the media who nowadays believe their own propaganda that the police have literally hundreds of eyewitnesses who will step forward in a flash to positively identify Bryant at Port Arthur. Unfortunately for all of the above, Wendy and Greame Scurr have contacted dozens of key witnesses present at Port Arthur on the day. 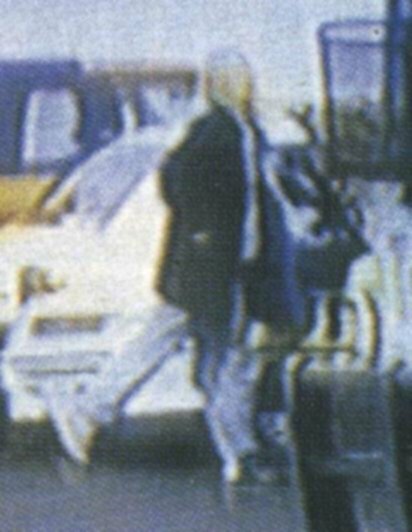 At the time of going to press, neither had managed to find a single witness prepared to state that he or she could positively identify Martin Bryant either carrying or firing a weapon of any kind at Port Arthur on the 28th April 1996. Oh dear.... The only video positive identification was forged, and all of those eyewitnesses we were told about failed to positively identify Martin Bryant at Port Arthur after all. How can this be? Basically by means of the Tasmanian Government sitting on the real evidence, while pumping vast quantities of misinformation to an eager but thoroughly inept media. There is now also convincing hard evidence that the gun control proposals accepted by Police Ministers in May 1996 were prepared before the massacre, by an ideological senior bureaucrat with United Nations connections. As the truth about the massacre and the pre- determined gun controls slowly but surely percolates through the Australian community, the backlash against both coalition and Labor MPs will be savage. The Australian people will not tolerate being deliberately misled by their own elected representatives, especially on a matter of such overwhelming importance to national security. Detective writer Arthur Conan-Doyle, author of the Sherlock Holmes series, once wrote: "When you have ruled out the impossible, then whatever remains, no matter how improbable, is the truth." We know that it was impossible for intellectually-impaired Martin Bryant to suddenly metamorphosize into the lethal equivalent of a highly trained counter-terrorist marksman, so we also know that Martin Bryant was not responsible for the mass murder at Port Arthur. Though improbable, the truth is that a pre-meditated operation was launched at Port Arthur with the express intent of murdering sufficient innocent citizens to set a new world record. The motive should be obvious, at least to anyone who has recently watched more than $300 million of tax-payers funds being spent on removing defensive weapons from the hands of Australian citizens. Footnote: My thanks to Greame Scurr, who used his full power of attorney to relay Wendy's evidence and supporting documents to me. Greame is still striving, as he always has, to achieve justice for the staff at the Port Arthur historic site, now that the fickle media caravan has moved on and forgotten them.